1. 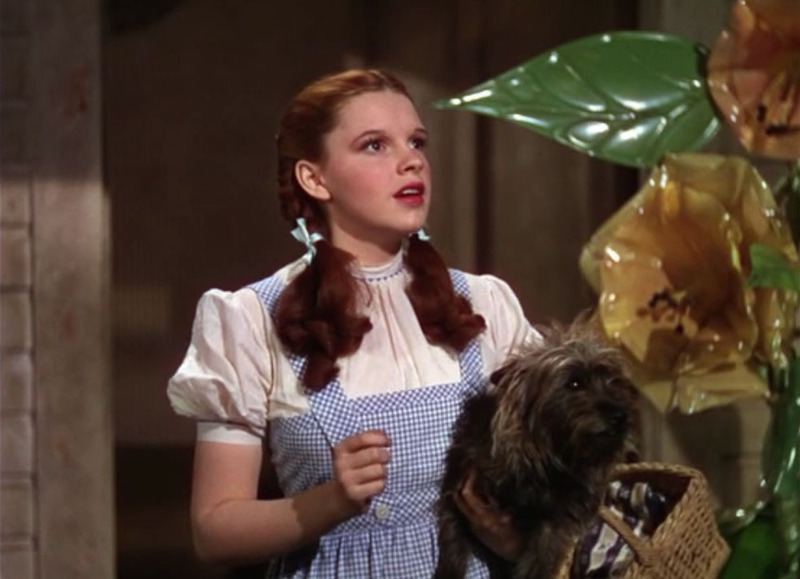 Whatever happened to Dorothy's parents? Way to skimp on the back story, Noel Langley et. al. 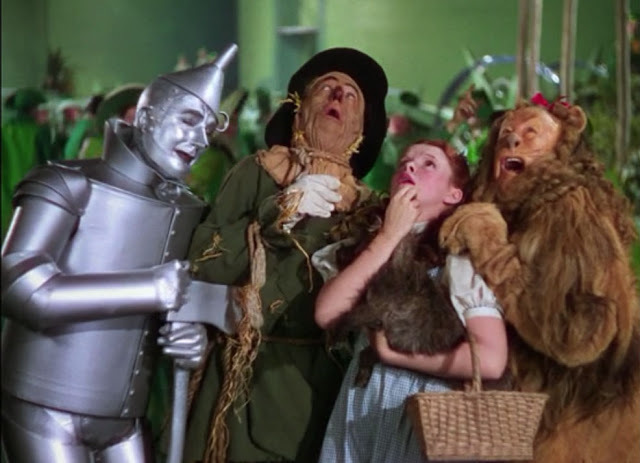 Here she is, an orphan living her with her aged Auntie Em and Uncle Henry, and not one single peep about her parents. Are they dead? In jail? A bunch of midi-chlorians? 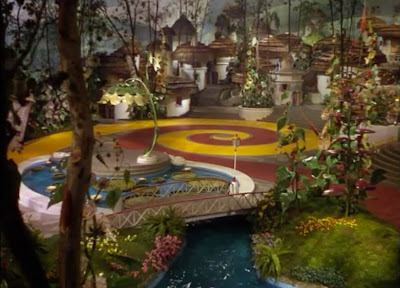 Imagine the deeper impact "There's no place like home," would have had if we had only known more. 2. 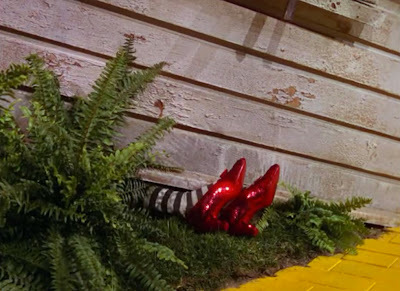 Why was Dorothy deathly afraid when she fell into the pigpen? That kid was screaming bloody murder about a bunch of pigs. Whatever for? Where they man-eaters? You know, there are reports about porkers pigging out on the bodies of their owners. 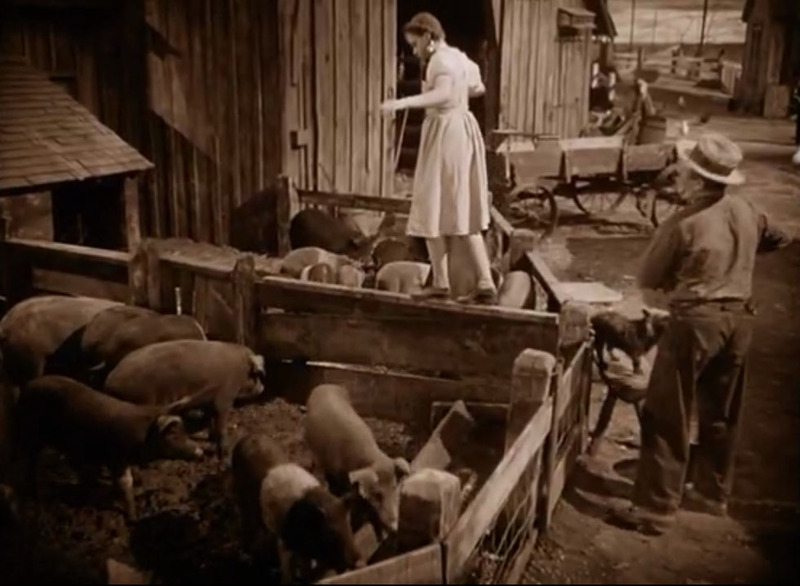 If the hogs on the Gale farm were a fan of homo sapien hors d'ouevres, that could explain what happened to Dorothy's parents. And, now that I think about it, Auntie Em does say "... you go feed those hogs before they worry themselves into anemia," and everyone knows red meat helps with anemia. 3. Where the hell did the red brick road go? No one even mentioned the other lane. I smell an untapped sequel! 4. 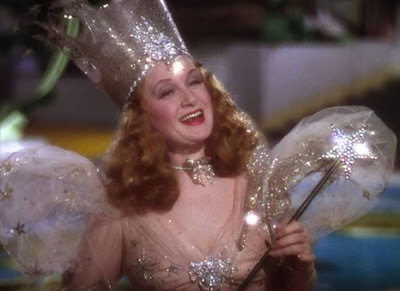 Was Glinda actually a good witch? Hear me out. First of all, the bubble traveler never introduces herself as such. She only says, "I am Glinda, the Witch of the North." Later, she informs Dorothy that only bad witches are ugly, implying Glinda's a good one, but anyone with an elementary school education knows that, while all squares are rectangles, not all rectangles are squares. Glinda could totally be an attractive evil witch. Then, let's not forget, the glitter addict reminds the Wicked Witch of the West about her sister's ruby slippers and then taunts the old crone about 'em, purposefully setting her up to hate Dorothy. 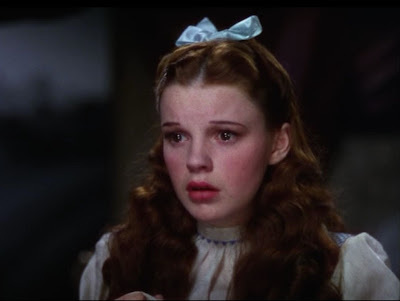 To top it all off, Glinda never tells Dorothy she could have gone back to Kansas at any time, claiming it was a lesson she had to learn on her own. What a load of crap. And wearing a crown that big? Really? Can you say inflated sense of self? 5. Was Dorothy an idiot? Seriously. That girl did NOT catch on quick. 6. 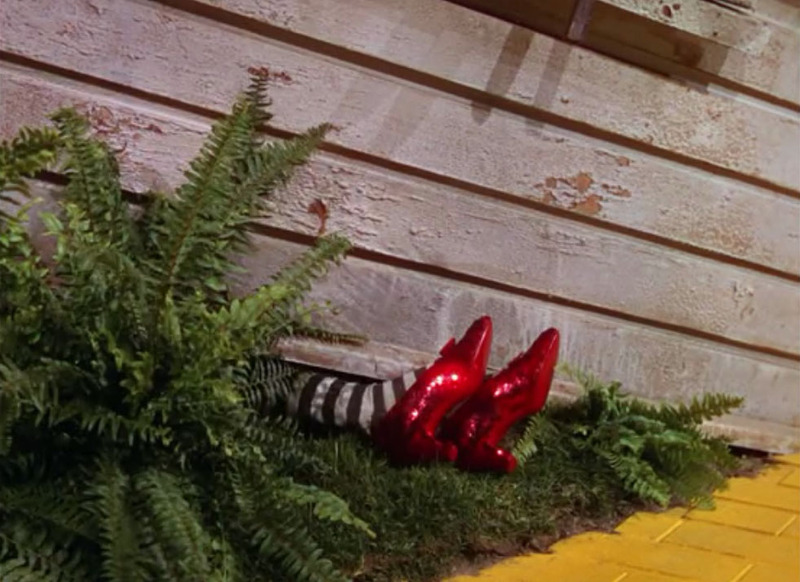 Why didn't anyone liberate the Munchkins from the despotic rule of the Wicked Witch of the East? The poor, oppressed little people were suffering under a tyrant and nobody tried to help! Not Glinda, not the people of Emerald City, nada. What a bunch of self-involved jerks. 7. 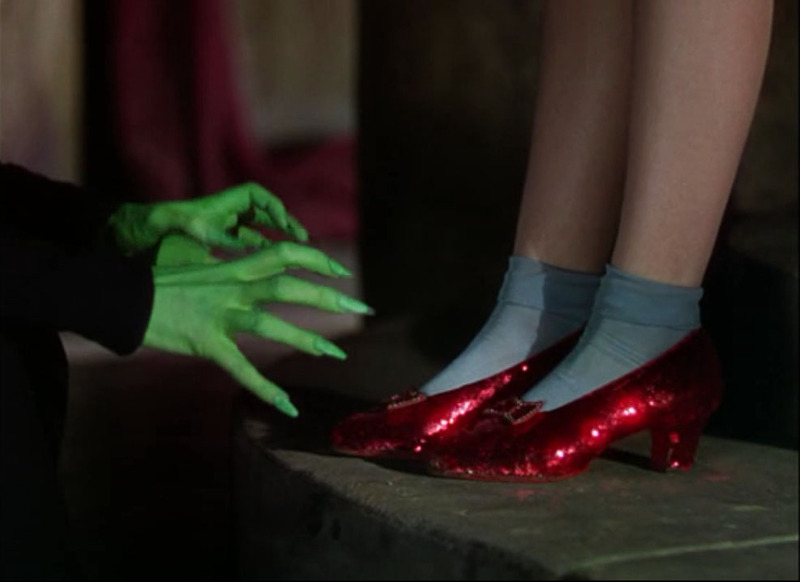 Last but certainly not least, what was so freaking special about those ruby slippers? Sure, every girl knows the self-confidence boosting power of a cute pair of shoes, but what other powers do they have? I NEED TO KNOW.